Have you ever ventured to pop just one small section of a roll of bubble wrap, to wind up madly popping through the whole roll in a manic and child-like fashion? Creating logos is much the same; let yourself become lost in a world of irrelevant possibilities and you will find yourself depleted and disconnected from what you first set out to achieve. Creating a lasting design that reflects the value your business creates can be achieved without too many headaches with some simple steps and guidelines to keep you on track. 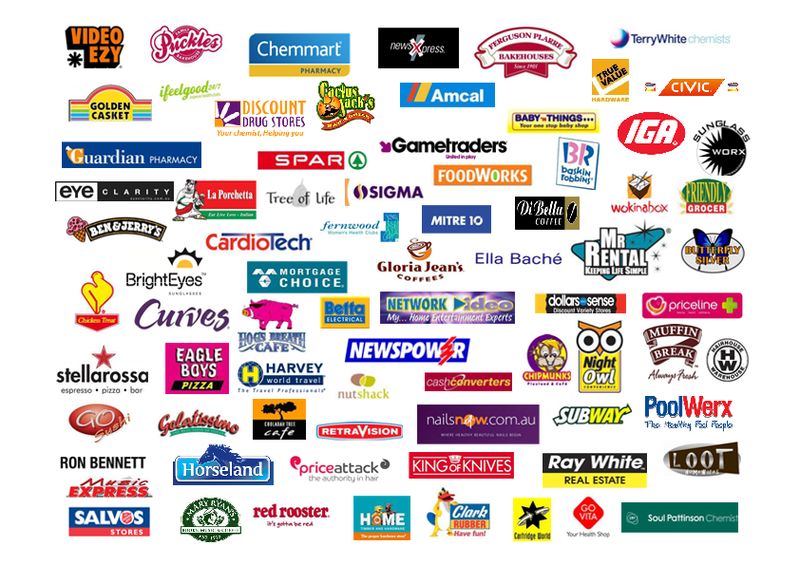 Get the creative ball rolling by researching some other logos in your industry. Determine what kind of fonts are used to match the sincerity of the business. Do you think you definitely need an icon, or could you just work with wording? What kind of colouring and line use stands out for you and gets a reaction? o They provide a consistent and complementing message. o They provide an understandable message. o They give the viewer a ‘prelude’ into what it is you do, and why what you do is valuable. What should people ‘feel’ when they see it? Is your product or service ‘energetic’ and ‘strong’ / ‘fun’ and ‘enjoyable’ / ‘prestigious’ and ‘reliable’ or maybe ‘up-to-date’ and ‘tech-savvy’? You’re not just a name and an image, but the name and image can reflect these attitudes and keep the mood going throughout someone’s experience with your website, call, purchase, use of and re-use of the product. Keeping up appearances is a fantastic marketing method that can work well even if you’re a small or online-only business, but to achieve it you need to be consistent and never allow your great idea to gather dust. Anthropomorphism: Using an animal or object that has qualities you’d like to associate with your business. With this tactic, you don’t need to build your attitude from the ground up, because your logo already carries a feeling that people understand. An owl is wise, a fox is cunning, a rabbit is fast and a bull is strong. Clever shape use: Can the first letter of your brand name be formed into a human body-like shape that looks like it’s moving? Many gym and training businesses go for this angle. If you’re able to incorporate the area or function that your business fulfils, similar to anthropomorphism, you will create expectations for users in the first possible instance of learning about you. Abstract Graphic: This is where you’re using shapes or elements that may not have anything to do with the brand, but are easily memorable and fulfil part of your brand attitude. Nike’s ‘tick’ and other shoe brands are an example of using abstract graphics in logos. Enlarge your logo to the biggest size it would come in and then shrink to the smallest size people would see, does it still work? Put your logo on top of different webpages or products, does it fit in? After this be sure to share your ideas around with different staff members, what kind of responses are you getting? If people lean toward one design through several stages of development and alterations you’re onto a winner. We work with various firms to make sure their fantastic services get the attention they need in a simple and down to earth way, without the hefty pricing strategies and ‘carpet-swatch’ approaches that boutique agencies use. We would love to have a chat about your marketing or enquiries challenges and see if we can team up to give you a lasting solution. Call 03 9670 0590 or email info@psychpress.com.au. In our last article we looked at the different kinds of categories you should look into when naming a business / product or anything else that needs intelligent branding. Today we are going to suggest some all-important considerations to put your naming plan into action. This way your brand can achieve long term flexibility, be friendly across various internet contexts, and most importantly – get the desired response and outcome from your audience. Right now 'Peter’s Massage Parlour' may make a lot of sense. But if you can foresee that there may be a need to expand on that service later on, your name (and branding that flows from it) could suffer. If you know you will always offer Massages and they will always be the bulk of the business then adding this term into your brand name can have great benefits, especially for your SEO, but don't let yourself or your brand become restricted further down the track. Often companies that expand their offering beyond directly-related fields are forced to update their brand name, which of course takes time and money, but most of all means that you can potentially lose out from the effort you put into making people remember and appreciate you in the first place. A big mistake business owners make in brand creation is launching a name first and then tackling the logo later on, which can lead to an awkward visual mismatch between the two. It can be simpler to think “name first, logo after” but make sure that you’re not excluding logo design considerations from the process entirely. When you’re putting your site together, make sure that you take these important considerations into account to secure your great name. There’s nothing worse than putting all your love into a name only to find out it already exists, or that a competitor’s is too similar. Make a habit of searching for existing names at registers such as this: Search Business Names. Be sure to avoid sounding similar to other business names, not just because you want your brand to stand out, but also because if a competitor has ‘claimed’ a niche with their name you will find yourself competing against an established idea and losing out on available opportunities. Many company names can look good truncated into one word and make it easier for visitors to find you. For example ‘career-exchange.com.au’ would not be as straight forward as ‘careerexchange.com.au’ where URLs do not function with spaces but use hyphenation instead. However, if you have a function attached to your business name which makes it longer it is worth comparing the difference, for example ‘peterssmassageparlour.com.au’ becomes confusing whereas ‘peters-massage-parlour.com.au’ helps make sure that your name isn’t getting lost. Finally, once you decide on a business name (we hope it wasn’t too painful for you!) make sure you ‘nab’ your name in every relevant space you can think of, this will also do wonders for your SEO. Below are the common areas you should be getting an early foothold in once you’re ready. Website: Register your own domain name with a hosting provider, refer to our domain hosting options article. Social Media: Facebook, Twitter, LinkedIn company page and any others. Directories: websites such as hotfrog and whitepages allow you to list your companies name and details for searchers to find. Many are free. Register: The Australian Government shares steps to Registering your Business Name, and you can view more information on registering and trademarking your intellectual property here. Career Exchange and Psych Press have had much experience when it comes to making new brands, products and webpages and we’re here to help. Let us know what you’re aiming to do or what your issues are in the online marketing world and we will give you a down to earth overview of whether our Content, Development or SEO packages can help. Contact info@psychpress.com.au or call 03 9670 0590.